It's almost time for Marvel fans to say farewell to Legion. FX has announced that the upcoming third season will be the show's last. The announcement was made during the winter session of the Television Critics Association press tour. But this doesn't seem to be a tragically early end to a well-liked TV series. Rather, according to the network, this was the plan from the very beginning. 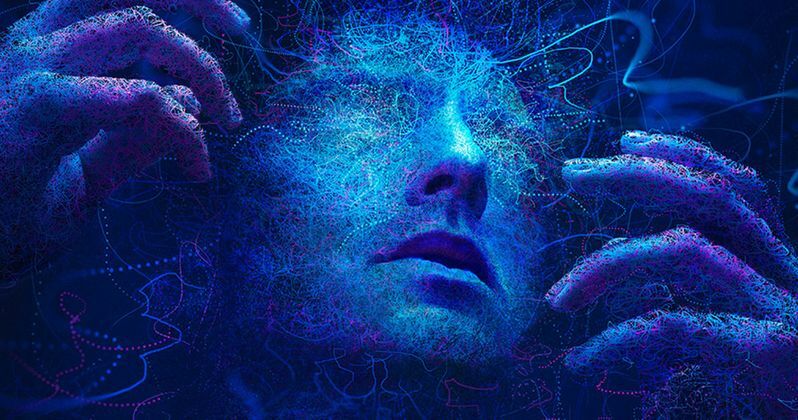 According to a new report, Legion season 3 will conclude the series, but creator Noah Hawley, who also created Fargo for the network, originally envisioned the Marvel Comics adaptation for a three-season run in the first place. FX is sticking to that plan. Still, the decision not to push for more episodes isn't terribly surprising. The show was a modest hit in the ratings department during season 1, but saw a major decline in season 2. Same-day viewership was at around 430,000 during its sophomore run and the seven-day numbers brought that total up to about 1 million. That's not quite enough to cut it with a relatively big production such as this, even when taking into account that ratings simply aren't what they used to be with so many options out there for viewers. Legion is based on the Marvel Comics series by Chris Claremont and Bill Sienkiewicz. The show centers on David Haller (Dan Stevens), a man who believed himself to be schizophrenic only to discover that he may actually be the most powerful mutant the world has ever seen. The series takes place within the X-Men universe, though it's not directly connected to the movies. In the comics, David Heller is the son of Charles Xavier, aka Professor X, which helps to explain his great power. This is just the latest Marvel TV series to face cancelation. Netflix recently canceled Iron Fist, Luke Cage and Daredevil. It's highly expected that The Punisher and Jessica Jones will meet the same fate. This all comes as Disney's merger with Fox looms. Once that happens, Marvel Studios will be in control of the X-Men and Fantastic Four franchises. Disney looks to be taking firm control of the Marvel brand on the small screen, with new shows coming to Disney+ more firmly rooted in the Marvel Cinematic Universe. Case in point, Agents of S.H.I.E.L.D., which more firmly exists in the MCU, is still on the air. But, per FX CEO John Landgraf this is about sticking to the original plan and not necessarily about the merger. It's just time for the show to meet its natural conclusion. The cast for the series also includes Aubrey Plaza, Jean Smart, Jemaine Clement, Rachel Keller, Bill Irwin, Amber Midthunder, Jeremie Harris, Katie Aselton, Navid Negahban and Hamish Linklater. Legion season 3 is set to debut on FX in June. We should expect a trailer and a firm premiere date in the near future. This news was previously reported by The Hollywood Reporter .